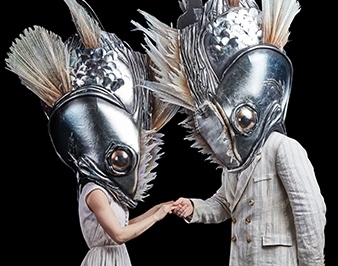 Over the years, it's been my good fortune to experience an equal measure of international Olympic treks and Cirque du Soleil live shows: Ten each. The current "big top tour" just arrived locally, and audiences are in for a treat under the grand chapiteau in Atlanta as "LUZIA" performances continue through at least mid-November at Atlantic Station in Midtown. I'm not into proclaiming favorites, but "LUZIA" easily cracked my personal Cirque Top Five also inclusive of the mostly-aquatic "O" and mostly naked "Zumanity" in Las Vegas as well as the steam punk-themed "KURIOS: Cabinet of Curiosities" and bugged-out "OVO" tours of recent years. Disclosure: Cirque du Soleil was a PR client'o'mine and the agency teams on which I worked for "Corteo," "KOOZA," "Dralion" and the Immortal Tour celebrating the legacy of Michael Jackson was my fifth client as an independent publicist in 2012. "LUZIA" takes audiences south of the border to explore an array of personalities, flora and fauna of Mexico's diverse landscapes. 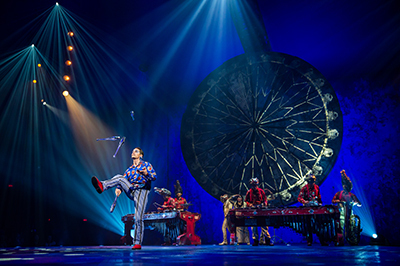 As with some of Cirque's other tours, the "guide" or pseudo-narrator is a good-natured and oft astounded clown, this time arriving by parachute to explore and collect experiences. ¡Y qué grandes experiencias comparte el payaso! 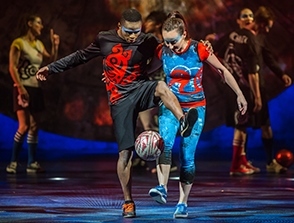 Along the trail there are contortionists, acrobats, jugglers (of bowling pins and, in a sports-themed segment true to the region, soccer balls), giant swing and hoop riders and all sorts of other spectacular performers. 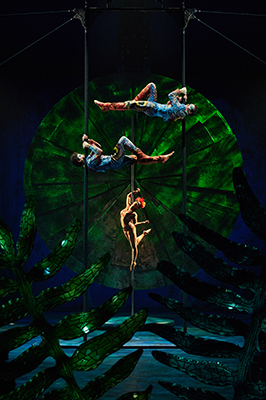 For this heterosexual male writer, the troupe of female pole dancers captivated me most; some women who attended had to put their eyes back in their sockets, too, when a Tarzan-like and washboard-stomached male performer dangled and twisted on his rope trapeze through the show's in-venue waterfall. 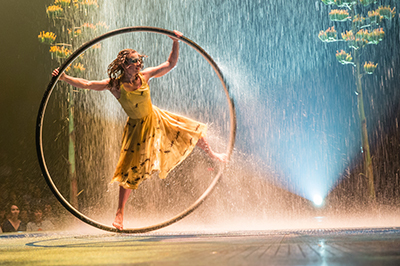 Did I mention "LUZIA" features water? 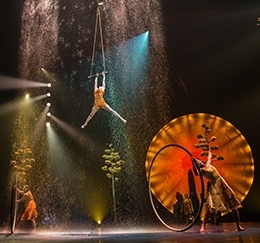 This show is like one extended scene (yes, that scene) in "Flashdance" with hundreds of gallons of hair-soaked H2O sprayed into the stands by all sorts of hard-bodies. The soundtrack of "LUZIA" impressed me as well -- Spanish guitar, horns, percussion and haunting lyrics really set the scenes. Always performed by live musicians, one Second Act segment featured a group of percussionists going to town on some of the largest xylophones ever to meet my ears and eyes. This video showcases some of the great brass and vocal work also on stage. 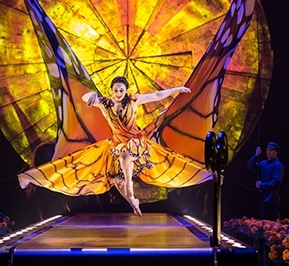 And as in "OVO" the costumes and puppetry of "LUZIA" are as astonishing as the jungle and desert scenery. The menagerie includes all sorts of insects and creatures del mar, as well as over-sized butterflies, tigers and stallions. Just wait for the trio of cacti. 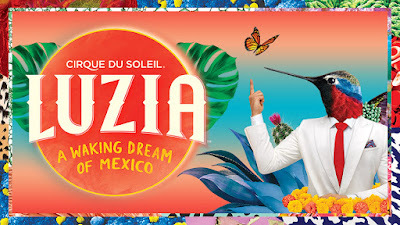 In a word, "LUZIA" = Excellente.